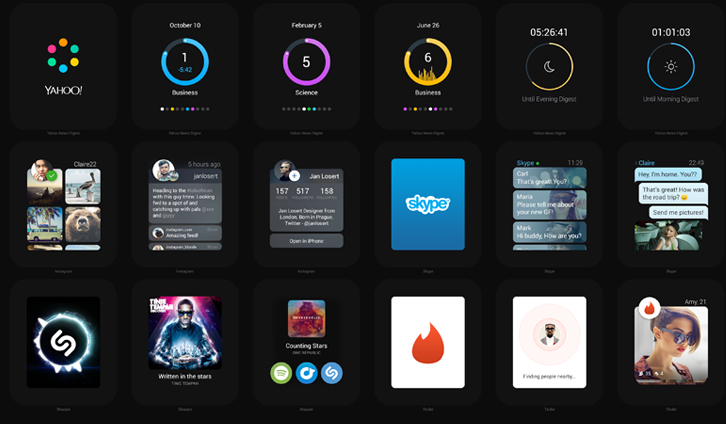 You can build a stunning, minimal social app with Relate UI Kit, a free cross-platform UI kit. With 45 design templates, 15 categories, and more than 99 UI components for web, tablet, and mobile, the creative opportunities are limitless. Inside Relate, you’ll find completely customizable, scalable vector shapes. The high-resolution, retina-ready components are designed to delight, and the grid system keeps everything organized. 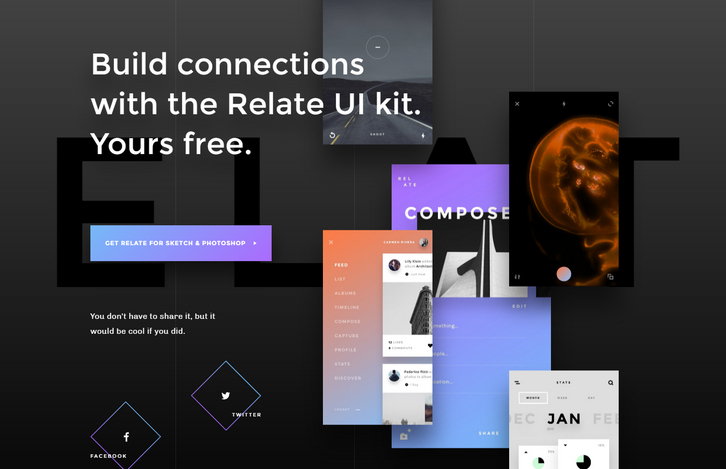 Immerse users in sleek, mindful designs using Relate’s free iOS app templates, tablet templates, and web templates—all available for Sketch and Photoshop. 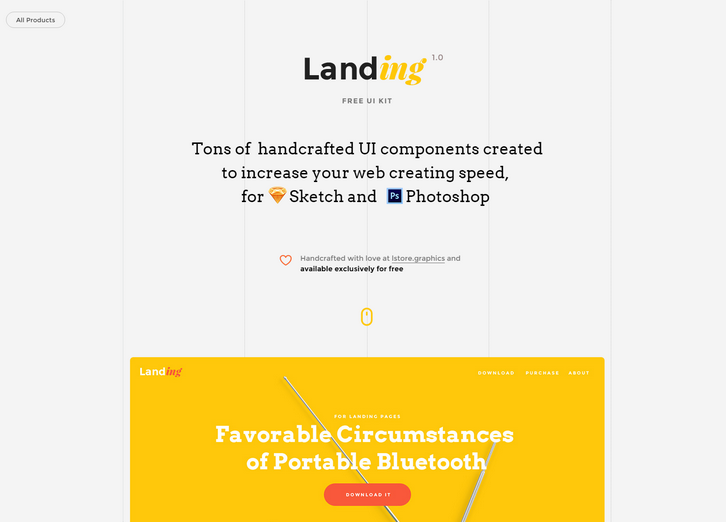 Landing Free UI Kit has tons of handcrafted UI components created to increase your web creating speed, for Sketch and Photoshop. They’ve chosen the bright color palette that arouses only positive emotions and is sure to be loved by almost everyone. 80+ layouts in most popular categories commonly used for creating landing pages. Type $0 to download for free, or any sum if you want to support us and donate. 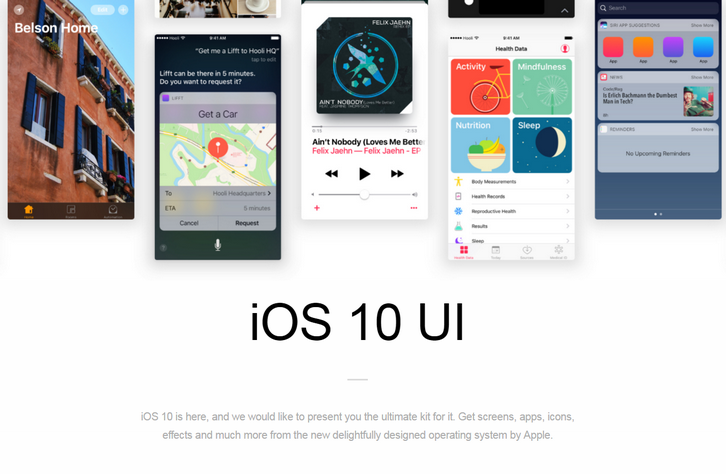 iOS 10 UI Kit is an open-source, collaborative UI design template for iOS 10. It’s an ultimate kit to get screens, apps, icons, effects and much more from the new delightfully designed operating system by Apple. Once downloaded, you’re free to use all the Sketch files for UI design work. You’re just not allowed to re-package it and claim it as your own. This contains most of the new UI elements of iOS 10, such as the new Spotlight Widgets and Status Bars. It contains the templates for the newly-updated apps in iOS 10, namely Maps, Music, Messages, Health and Home. And also, contains the new iOS system screens, such as the redesigned lockscreen, Spotlight and Control Centre. 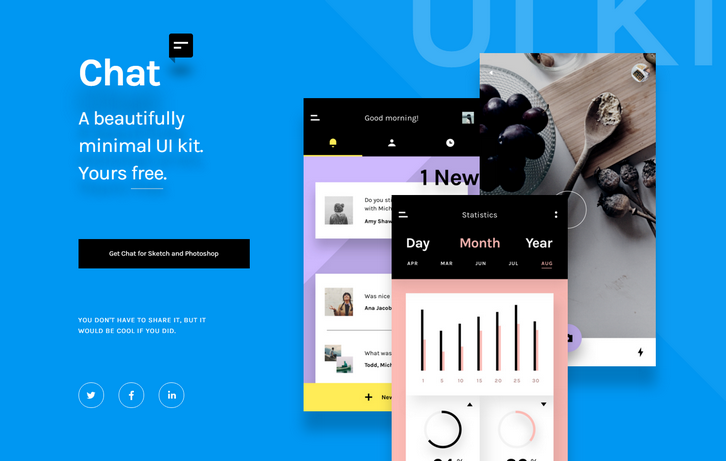 Chat is a a minimal mobile UI kit from InVision. Immerse users in minimal, thoughtful designs using Chat’s free iOS app templates, tablet templates, and web templates—available for Sketch and Photoshop. With 60 design templates, 12 categories, and 80 UI components for web, tablet, and mobile, the creative possibilities are endless. Within Chat, you’ll find completely customizable, scalable vector shapes. The high-resolution, retina-ready components are designed to delight, and the grid system keeps everything organized. InVision’s latest UI kit, called NOW which is released today. InVision NOW UI Kit is the perfect cross platform UI kit for web, tablet, and mobile designs — and it’s free. This UI kit has over 52 complete design templates, 35 custom icons, and over 180 UI components to handle all your news and publishing app needs. Plus, the design is minimal and flat to keep your focus on the content instead of the UI. The kit includes iOS, tablet, and web templates, and is available for both Sketch and Photoshop. 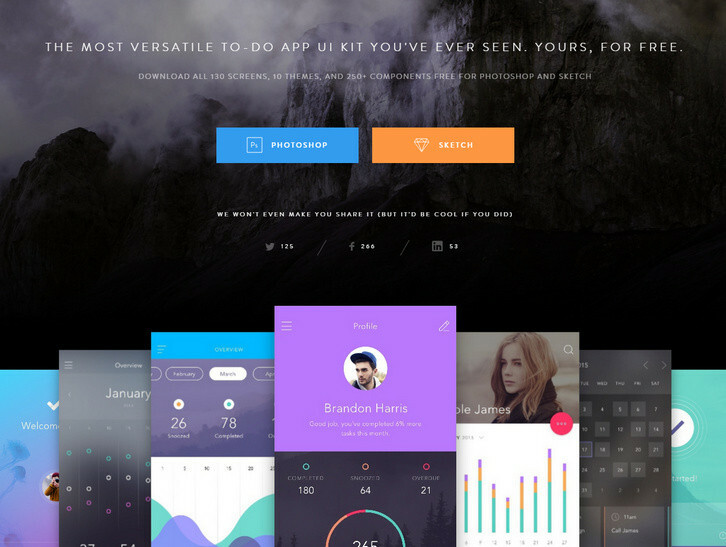 The DO UI kit is now available for free for Photoshop & Sketch! It’s got over 130 stunning screens, 10 complete themes, and 250+ components to mix and match to create stunning apps. They are all remixable and retina ready. Best of all, they look very clean and colorful, which makes it perfect fit for today’s flat aesthetic. 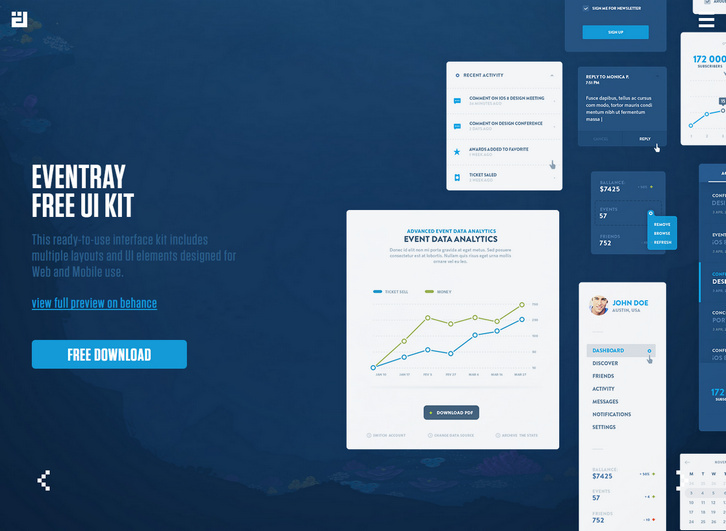 EventRay UI Kit is a free ready-to-use interface kit includes multiple layouts and UI elements designed for Web and Mobile use. 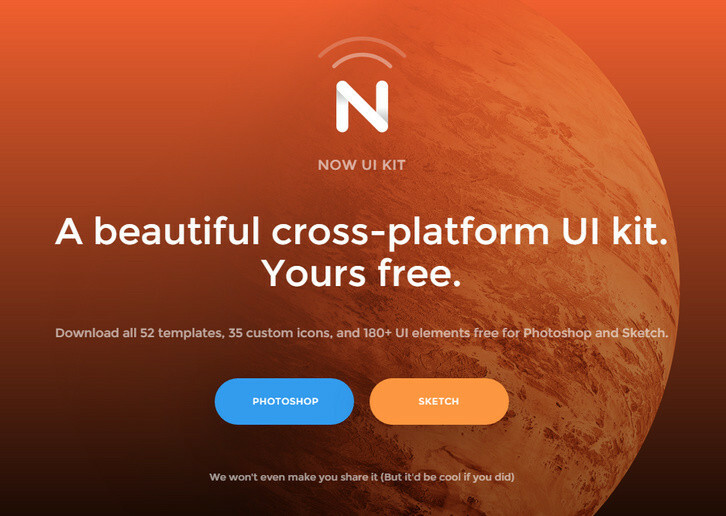 All you need to do is download this ui kit, simply plug it in and take it for a spin. You can check out the full preview on behance. Professional flowcharts within minutes, it is possible if you have a proper assets in your designer toolbox! 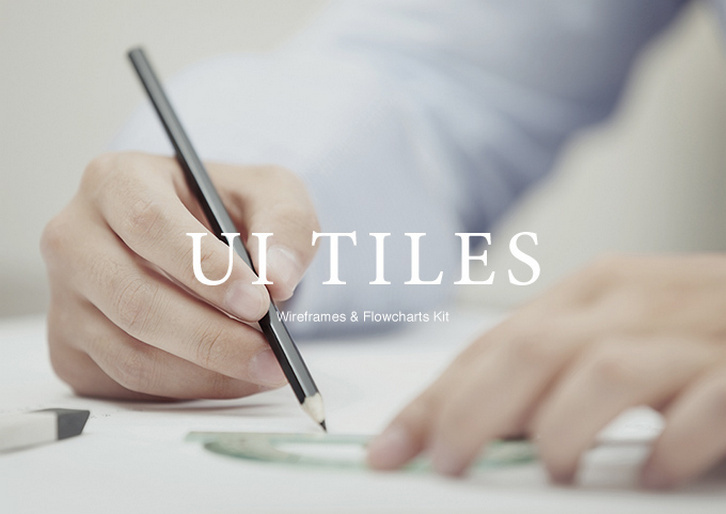 Meet UI Tiles, 72 Website Flowcharts for any purpose. Build site maps, demonstrate interactions and engineer magnificent projects, saving lots of time and energy. Whether you’re a developers, designer or any other person involved in Web Design related projects, you can freely use UI Tiles since they go in every popular vector formats (PSD, AI, Sketch) and PNG formats. 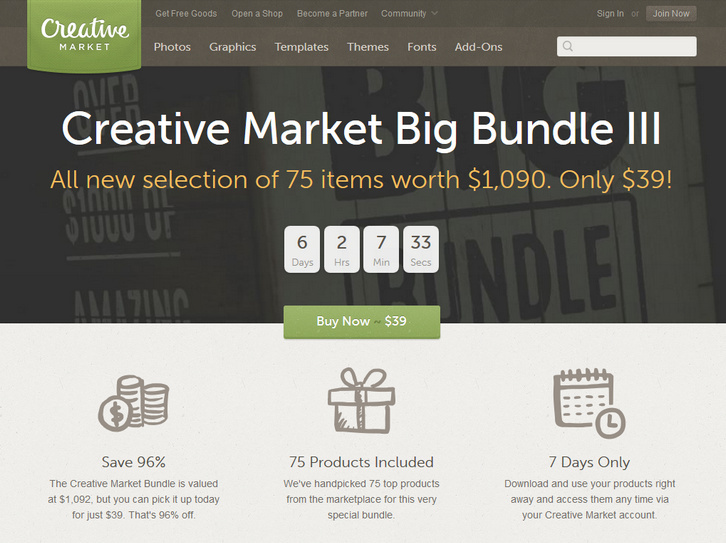 Creative Market Big Bundle III has just released. They’ve handpicked 75 top products from the marketplace for this very special bundle. You can download and use your products right away and access them any time via your Creative Market account. The Creative Market Bundle is valued at $1,092, but you can pick it up today for just $39. That’s 96% off.